Elegance expressed in aerodynamic form. The unique design features a spring loaded clip that retracts until at one with the body of the pen, for a seamless, uninterrupted look. 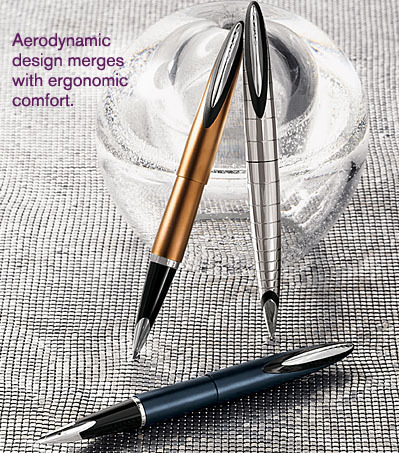 Fountain pens have our exclusive 360° wrapped rhodium plated stainless steel nibs.